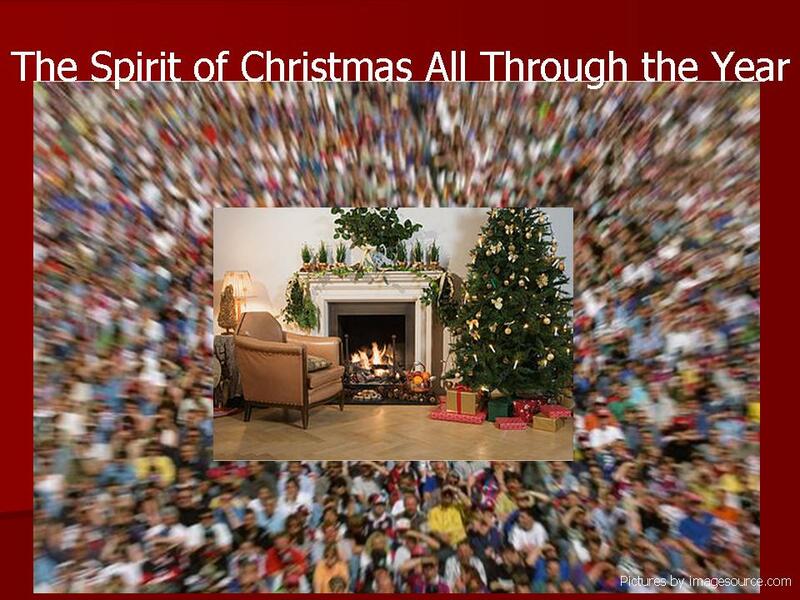 There is something special about the human spirit at Christmas time. It is the season where the collective human spirit suppresses the selfishness and hatred that some of us hold in our hearts throughout the year. I have my faults, but I cannot say I know what hatred feels like. It is not something I carry. One of my greatest teachers in giving was The Late Bishop Charles Little. He taught us how to give from the heart, and he taught us how to receive with undying appreciation. I’ve never allowed those teachings to leave me. I give to others in so many ways. I speak from my heart, provide in deed, encouragement, support or even a kind word. I can say, without doubt, the goodness keeps coming around and there is never a time I am without. This builds my spirit of gratitude— another beautiful gift that comes from giving. I find that the spirit of giving comes right back to me. Is that magical? Perhaps. It is also Karma, and the universal law, “You reap what you sow”. In the movie “The Christmas Carol” Ebenezer Scrooge promises to keep the spirit of Christmas in his heart all the year. If he does not give to others, death is the consequence. The same applies to us. There are many ways of dying while living. If we as a collective can keep the spirit of Christmas throughout the year, we can encourage and uplift those around us everyday, and we can make our relationships stronger. Being a giver means you make a difference, in a part of the world, each and everyday. Selfishness is the core of many of our problems, not only in the world, but in our relationships, because we are solely focused on our thoughts, as if there are no other thoughts to consider. We are so concentrated on how we feel, so we fail to consider how our feelings may hurt someone or may create damage to our partner. Selfishness is the core of greed, so we take money or goods from others in order for us to have. We are remiss that there is enough in the world to go around. There is no need to take from someone else. There is a word I rarely hear people use today that I was raised on. It is called “stingy”. Selfishness makes us stingy in helping others. If we are stingy in goodness, it is very difficult to be giving in love and compassion in a relationship. How can we fail to give, yet be liberal in giving ourselves? The spirit of giving and the spirit of self always work together. Just as Christmas encourages us to suppress selfishness and give to someone we love, and to those who are in need, that same spirit we should hold on to and not let it go, just because the tree comes down or the day moves on. Giving is not so hard. There are ways of giving the non tangibles, like appreciating our partner for what he/she does everyday. Being grateful is also giving. We can love, not with a contingency, but because we have the human capacity to love someone without incurring any emotional damage. (Don’t underestimate love it runs deep and on so many levels. You’ve got it in many ways to give without causing damage to yourself.) We can share a tip that would make someone successful, or a word of experience so someone does not have to endure the same fate we have endured. We can give in the most thoughtful and economic ways, that would mean a lot to the receiver. There is the hug of love and warmth, and there is the pat on the back for someone doing something good and insightful. If you are a manager, lead your people with empowerment. If you are a promoter, promote those who have gifts to offer the world. If you have power, give a little away to someone who needs it. If you are a person whose answer of yes, will make a difference in the life of someone who has been rejected, give that yes and watch the results of your goodness. If you have insight, provide it where it is most needed. If you are a speaker, speak to those who are willing to hear. If you keep the spirit of Christmas throughout the year, your life will be rewarding, you will be building appreciation for life and seeing the good in others. You will enjoy giving yourself to others in ways you did not think possible. Rather than living the life of death, you will be living life as it should be lived! I wish you a wonderful today, and may you be blessed with the beautiful spirit of Christmas from this point on until the end of time. This entry was posted in Dedication to Meditation and tagged Bishop Charles Little, selfishness is a relationship destroyer, spirit of giving in relationships, the strength of the human spirit. Bookmark the permalink.